Prevent winter's worst home disaster, freezing pipes, and promote household energy efficiency in the process, by remembering to insulate your water pipes. If a plumbing pipe ruptures inside your home, it’s likely going to be a disaster. But properly installed pipe insulation can help prevent that. Pipe insulation performs more than one role, but perhaps its most important duty is to keep the water in your pipes from turning to ice, expanding, and then bursting to create a mega-mess. Insulation also cuts down on heat loss and keeps water warm as it makes its way to your faucets. 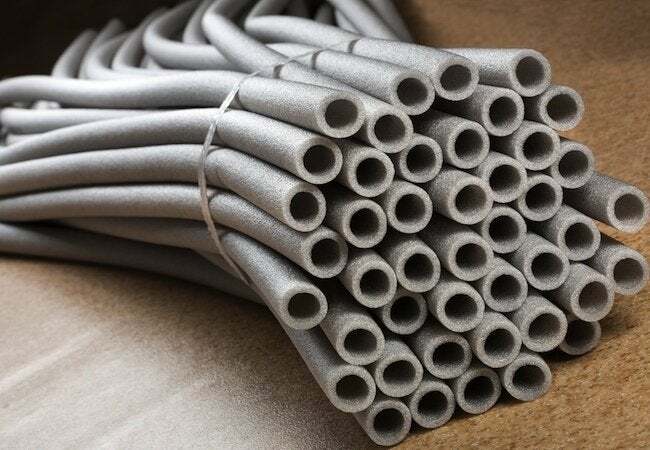 Cold water pipes benefit from insulation too, especially during summer months when humid air would otherwise condense on the pipes and cause corrosion. Besides protecting pipes, insulation also protects people—from being injured by contact with very hot or very cold pipes. There are plenty of styles and materials to choose from, each with their own advantages and disadvantages. In many freeze-prone areas of the country, pipe insulation is not only a good idea; it’s the law. Check local building ordinances before you head to the home center.